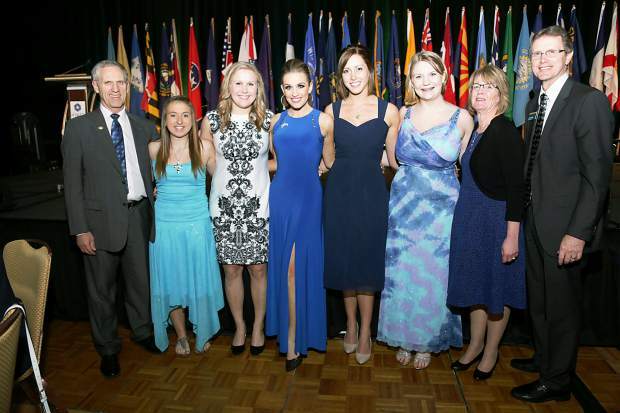 For Rebecca Liffrig, attending the 2015 National 4-H Congress was the pinnacle of a 10-year 4-H career. The Mandan-area high school senior was one of four North Dakota delegates to the National 4-H Congress. That's a five-day conference that focuses on helping 4-H'ers develop leadership and other skills they can practice in their community and use in their adult life. "The speakers, activities and other delegates left me with a greater appreciation and desire for what the four H's stand for, and inspired me greatly to try to live them in my life," Liffrig says. "Being a part of the National 4-H Congress inspired me to encourage all younger 4-H'ers to continue with 4-H for as long as they can, if only to attend the Congress." The other three North Dakota delegates were Traci Lagein, a Rocklake-area high school junior; Marisa Smith, a Havana-area high school junior; and Emily Zikmund, a Pisek-area high school senior. "Excite, Spark, Ignite" was theme of this year's National 4-H Congress, which was held in Atlanta, Ga.
During the conference, the delegates toured a number of places, including the Carter Presidential Library, Martin Luther King Center for Non-Violent Change, Atlanta Zoo, CNN Center and Georgia Aquarium. They also heard from keynote speakers such as Barbara Chamberlin, Extension Service instructional design and educational media specialist at New Mexico State University; Eugen Schoenfeld, sociology professor emeritus at Georgia State University; and Stedman Graham, chairman and chief executive officer of S. Graham and Associates, a management and marketing consulting firm that specializes in the corporate and educational markets. 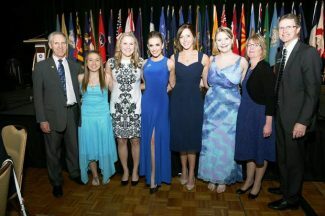 The North Dakota delegates all thought that meeting 4-H'ers from other parts of the U.S. was a highlight of their trip. "It was so cool seeing how their 4-H does things differently than we do back home and what they had to do to come to 4-H National Congress," Lagein says. The North Dakota 4-H Foundation sponsored the trip for the four delegates. Barb Thoreson, a longtime 4-H volunteer from Barnes County, chaperoned the delegates. "Overall, National 4-H Congress was a fantastic experience, and I wish that every 4-H'er had the opportunity to attend," Zikmund says. "I was amazed, but not surprised, by the leadership abilities and talents of the participating youth," says NDSU Extension Service Director Chris Boerboom, who serves on the National 4-H Congress board. "I wasn't surprised because 4-H excels at developing youth leadership abilities. I'm proud of our North Dakota delegation and thankful that the North Dakota 4-H Foundation was able to support them. Without a doubt, Congress is a premier event for 4-H."